New Delhi: Emphasizing that India is being globally lauded for its green initiatives and commitment to environment and climate change, Union Minister for Environment, Forest and Climate Change, Dr. Harsh Vardhan today said that Skill India is an endeavour by the Government to act as a catalyst in bringing about a change by skilling, up-skilling and re-skilling technicians to bring down the emission of harmful greenhouse gases. The Minister pointed out that our nation is now being seen as a trailblazer in clean and green energy under the able leadership of the Prime Minister, Shri Narendra Modi. 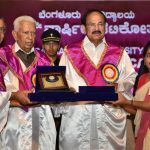 “I feel privileged and honoured to be a part of the launch of this unique project and we must ensure its efficient implementation and monitoring”, Dr. Harsh Vardhan said. The Minister pointed out that even prior to the signing of the Memorandum of Understanding today, MoEF&CC has already launched a Green Skill Mission, adding that under the Mission, within the next three years, training will be imparted to 5 lakh 86 thousand persons. He added that courses to provide skill development to scientists and technicians have also been drawn up in the Ministry of Science and Technology. 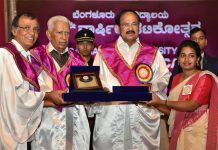 Dr. Harsh Vardhan quoted the example of Andhra Pradesh Government, which has started the process of providing skill development in the leather industry to about 10, 000 persons at a cost of Rs. 30 crore. Addressing the gathering, Union Minister for Skill Development and Entrepreneurship (MSDE), Shri Dharmendra Pradhan invited the leaders of the industry to invest in equal measure in the initiative to skill technicians. “I urge the industry to make equal contribution towards training of such technicians so that we further strengthen our industries and our youth. The focus on skill development should be as much as we have on research and production today”, Shri Pradhan said. Pointing out that the Prime Minister’s attempt at enhancing the training skills has been made a part of the skill eco system, the Minister stated that this is great example of the Ministries working together to make the New India of our dreams. He also underlined that it is imperative that the two Ministries work in close conjunction with the respective Sector Skill Councils to identify the new age job roles which are relevant to the market today. The Minister also emphasised the need to map their demand and co-create a curriculum and pedagogy to ensure a robust skill training ecosystem and its outcome in terms of the productive workforce that India will have. Earlier, a Memorandum of Understanding was signed between the Ministries of Environment, Forest and Climate Change and Skill Development and Entrepreneurship. 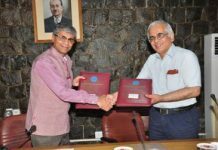 The MoU was exchanged by the Joint Secretaries in both the Ministries – Shri Gyanesh Bharti and Shri Rajesh Aggarwal. The two Ministries have agreed to jointly undertake upskilling and certification of 100,000 RAC service technicians on good servicing practices and knowledge of alternative refrigerants to ozone-depleting chemicals. The project will be funded under the Skill India Mission – Pradhan Mantri Kaushal Vikas Yojana (PMKVY). Dr. Harsh Vardhan also launched a mobile application developed by Electronic Sector Skill Council of India and Ozone Cell for the trainees under the project for continuous information exchange with the service technicians. The mobile app will host training material and instruction videos for the service technicians. In addition, instructional videos were also launched on the occasion. The videos have been developed for the service technicians on various aspects of good servicing practices prepared in four regional languages and Hindi to have a wider accessibility. The videos have been jointly developed by the Ozone Cell and Energy Efficiency Services Ltd in collaboration with UN Environment. It is estimated that at present, there are around 200,000 refrigeration and air-conditioning (RAC) service technicians in the country, with a large number of them being in the informal sector. Training of these technicians is an ongoing activity under the HCFC Phase-out Management Plan (HPMP) Stage-I being implemented by the Ozone Cell, MoEFCC. Under Stage-I of HPMP, nearly 11,000 technicians were trained on good servicing practices and under Stage-II, around 17,000 technicians will be trained. The skilling and certification of technicians under PMKVY will have twin benefits of significant environmental benefits and a positive influence on the livelihoods of technicians. The project will also include train-the-trainer programmes, updating of National Occupational Standards, and certification. The project will be implemented by the Electronic Sector Skill Council of India (ESSCI) and the Ozone Cell, MoEFCC. It will be supported by industry and service sector associations for creating awareness and mobilisation of candidates. The project is expected to be completed within sixteen months. Since India is party to the Montreal Protocol on Substances that Deplete the Ozone Layer, the country is in the process of phasing out Ozone Depleting Substances (ODS) and in the future, even non-ODS gases with high global warming potential will be phased down. The alternative refrigerants have issues like flammability and toxicity concerns. As a result, skill training for technicians is of paramount importance, not only for improving employment opportunities, but also in educating them about safety requirement, energy efficiency and refrigerant leak minimisation. India has been witnessing high growth in the air-conditioning (AC) market. Refrigerants used in ACs are either Ozone Depleting Substances (ODS), or have extremely high global warming potential. Refrigerants leak out of ACs during normal operation and due to poor servicing practices, causing adverse impacts to the environment. As a result, over 50% of refrigerant consumption is in the RAC servicing sector. In addition, the energy efficiency of wrongly serviced ACs is also low. The MoU signing ceremony was attended by the representatives of multilateral and bilateral agencies including UN Environment, UNDP, Deutsche Gesellschaft für Internationale Zusammenarbeit (GIZ), representatives of various government departments, industry and industry associations and large number of RAC service technicians. 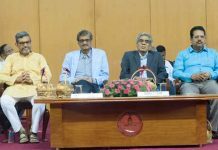 Minister of State for Environment, Forest and Climate Change, Dr. Mahesh Sharma, Secretary, MoEF&CC, Shri C.K Mishra and Additional Secretary, MoEF&CC, Shri A.K Jain were among the distinguished ones in the gathering.